Stephen was manager of Payless Gas Station for four years in the mid 80's and as a result of this experience, the foundation for business and service was well formed. Entering Real Estate Sales in 1990, Stephen has had the distinction of being one of the top producers in his company, Realty World Advance. His sales continued to grow and sold an incredible $16 million MLS volume in 2007. In 2016 he achieved an unprecedented $25 million MLS volume and received the distinction of being the #5 Individual Realtor within the Royal LePage Network in B.C. and the #9 individual Realtor in the National Network, which consists of over 17,000 Agents. He is consistently one of the top 2 agents in the Campbell River marketplace of approximately 100 Realtors. Stephen's education is ongoing, and in 1995 he completed the 4 year Urban Land Economics Diploma Program through U.B.C. After receiving his diploma in Real Estate Management, he was accepted into the Real Estate Institute of Canada which allows him the use of the prestigious FRI, CRES professional designations. The Real Estate Institute of B.C. followed suit, and their designation of R.I.(B.C.) was another accomplishment for him. With this superior education, Stephen has previously provided appraisals for selling, buying or refinancing for several local lending institutions. He can be relied upon for more accurate home evaluations with this experience. Stephen became a part owner in Realty World Advance in 1994 and became the president in 1998. 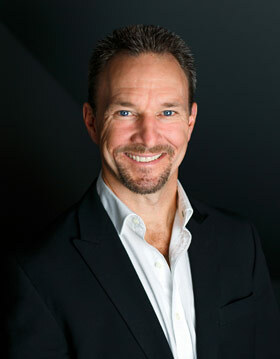 This position allows Stephen to provide direction for the company, including the conversion to ROYAL LePAGE Advance in September 2001, a move that has propelled the company to new heights. As a co-owner, Stephen still maintains his clientele with the highest degree of service and commitment while promoting a successful environment for his fellow Realtors to also thrive in! Stephen, his wife Diana, licensed assistant (& son) Devyn Grant, and unlicensed assistants Maureen Russell and Shannon Block comprise their Real Estate Team. They handle the implementation of all the systems they've created to provide successful service second to none in the Campbell River market. With remarkable stamina, Stephen embraces life with endless energy and zest. He is a person of top notch calibre in his field and is admired for his trustworthy, knowledgeable and personable approach. He could be "Your Agent of Choice."